Update2<< Added a Flock Script for Unity 3D and a Multicolor Shader! Enjoy! 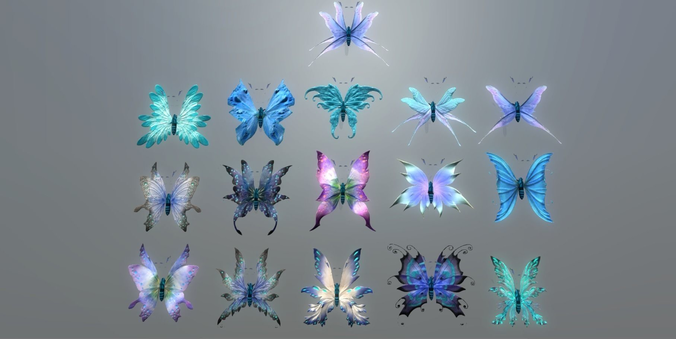 29 types of Buterflies 4 Animations : Idle Landed, Take Flyght, Fly Idle and Land. Mesh has 582 Tris / 418 Verts Textures : Diffuse and normal 1024x1024 !